The asbestos litigation industry is buzzing over how the arrest of a major New York politician might – or might not – create a storyline for other high-volume “magnet” communities, says Courts Monitor Publisher Sara Warner in a new Huffington Post column. Her report includes observations from a recent Beverly Hills industry conference on “cutting edge” issues. It seems that fixing the American justice system continues to be one place where America’s most high-profile political enemies can find common ground. The New York Times is reporting http://blogs.reuters.com/alison-frankel/2014/10/23/criminal-defense-lawyers-group-no-reason-to-shun-koch-industries-money/ that the “usually bitter adversaries” of Koch Industries and the Center for American Progress have agreed to work together on a new group, the Coalition for Public Safety. Other participating groups, left and right, include the ACLU, Americans for Tax Reform and Tea-Party leaning FreedomWorks. They’ll start with $5 million. Reuters noted that the “senate’s Democratic majority leader, Harry Reid, has tagged them [the Kochs] (via Talking Points Memo) “‘un-American’ plutocrats who ‘have no conscience and are willing to lie’ in order to ‘rig the system’ against the middle class.” That report said NACDL’s president told the reporter that the group only cares that Koch Industries shares its view of the sanctity of the Sixth Amendment and defendants’ right to council. So far, the odd-bedfellow efforts have been all about criminal, not civil, courts. But any improvements are bound to help both sides of that ledger. U.S. Sen. Charles Grassley, poised to become Senate Judiciary Committee chairman, is already making increased court transparency a priority. The Des Moines Register reports that the senator “… is again encouraging the U.S. Supreme Court to add cameras in the courtroom.” His encouragement comes in the wake of U.S. Chief Justice John Roberts dedicating his year-end “state of the courts” report on technology, but without even mentioning cameras in the courtroom. It’s not all that encouraging for anyone hoping the nation’s highest court would become more transparent, especially since issues like cameras in the courtroom seem far, far away. Mother Jones magazine is offering a rundown on five states where electing state supreme court justices has become a high-stakes political battle, complete with spending millions of dollars on attack and counter-attack ads. The piece offers some familiar names for anyone who follows the judicial policy wars, like Texas and North Carolina, and some places where you might not have noticed conflict, like Tennessee. For court watchers, it may be interesting that the increased spending is happening in some states with “retention” models, which are believed to decrease political efforts in the judiciary. In those states, voters can only decide whether or not to keep or dismiss a judge – as opposed to choosing between candidates. California, for example, uses a retention system for its high court, although a huge majority of lower court judges run unopposed. The public can listen into the next meeting of California’s Trial Budget Advisory Committee meeting via a conference call, officials announced. The meeting will discuss “ongoing budget issues plaguing the state’s courts,” according to published accounts, and will focus on court interpreter funding and proposed revisions to some tech project allocations. The meeting is open to the public via conference call. The meeting will also be audiocast live. More information is available here: Trial Court Budget Advisory Committee – judicial_council. Writing in the Huffington Post, CCM Publisher Sara Warner notes that a recent bankruptcy case is rocking the world of civil asbestos litigation, one of the leading case-issues in California and nationwide. A federal judge’s order lists problems with the specific case, including “disappearing” of evidence and testimony that seems to contradict other sworn statements involving dozens of bankruptcy trusts. But, she notes, what about the victims? Read the HuffPo piece here. 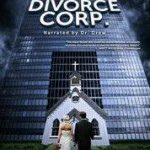 Reviews are pouring in for the new “Divorce Corp.” documentary by Joseph Sorge, which opens this month and paints a very dark picture of family law courts. While the film is national in scope, it focuses on California and its most interesting character is a private investigator in the Golden State. Accounts are of a “system” with little oversight, complete with conflicts of interest and judges beyond belief. It should be noted that the longtime television producer got the idea for the film from his own divorce. The movie’s website is here. The Paste review is here. A state appeals court has issued a tentative ruling that it will overturn an open-court decision by Los Angeles Superior Court Judge Michael Nash, the presiding judge of the county’s juvenile court who had decreed that dependency hearings were “presumptively open” to the press. The issue has been highlighted by open-court advocates who argue that state oversight of child custody is of immense public interest. On the other hand, social worker unions and others have argued that protecting the privacy of children is more important than open courts. For example, they argue, the presumption of an open court means families and attorneys would have to monitor courtrooms to see if media was present. The Los Angeles Times and the Children’s Advocacy Institute at the University of San Diego School of Law have filed briefs asking the appeals court to keep the hearings open. See the Times story here.